Today was my first day with the kiddos and we had a great time! I am linking up with Deana over at Primary Punch to tell about it. On the first day my students are loaded up with supplies. I have them come in with their parents and there is a note on the board telling where to put everything. Then when they are done they head to their seats. This year on their desks I had this little fun packet from Sara over at Smiling In Second. She offered this as a Facebook Fan Freebie during our 2nd grade hop and I snatched it up. 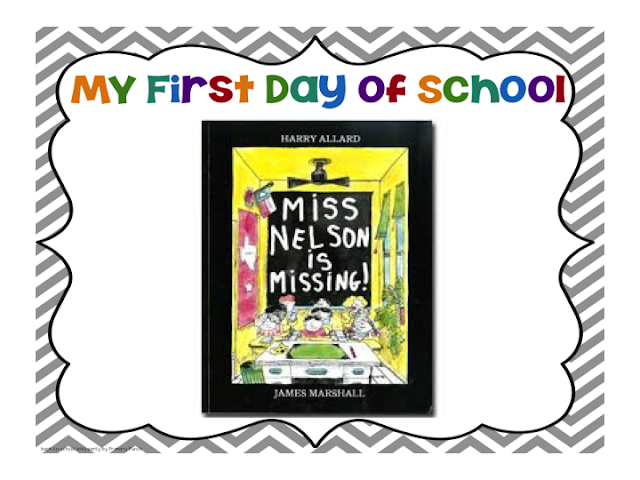 After we all settled in I pulled everyone to the carpet and we read Miss Nelson Is Missing! We talked about being good students so that their own teacher would never have to become Miss Viola Swamp! 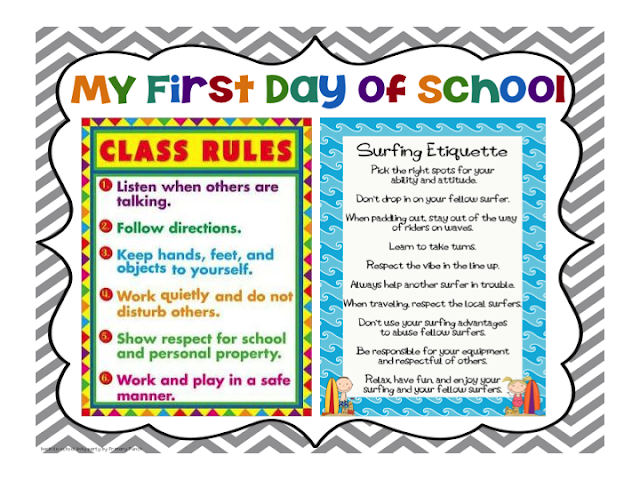 Then we reviewed our class rules and talked about our Surf Ettiquette. We discussed our class clip chart and how it worked. Then they colored in their calendars to match the clip chart. 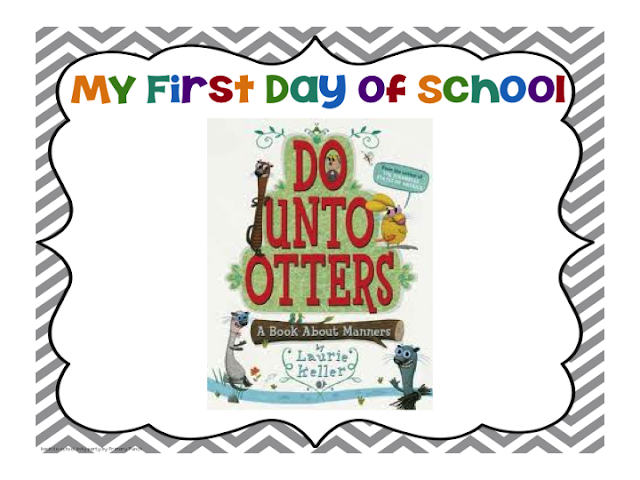 Afterwards I read this book to help us remember how to treat otters others. We then took a tour of the school. We walked to the playground about 10 minutes before recess and went over the playground rules. After recess my students had Music for 45 minutes and then we came back and finished coloring our charts and organizing our supplies. After lunch we gathered on the carpet and did our Calendar Math. 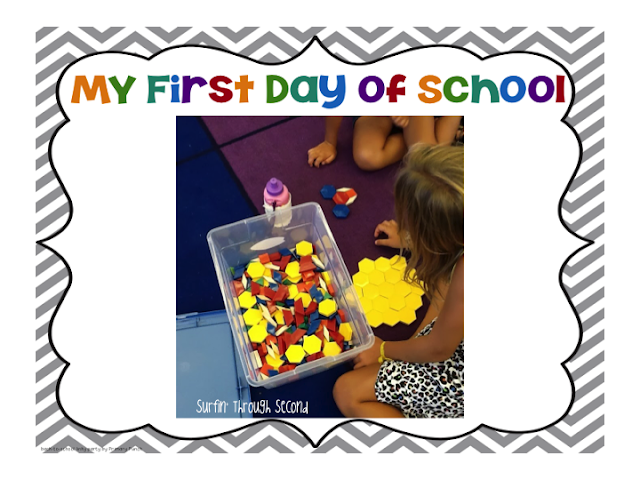 We discussed our math tubs and how we take care of our manipulatives. I partnered them up and let them explore. 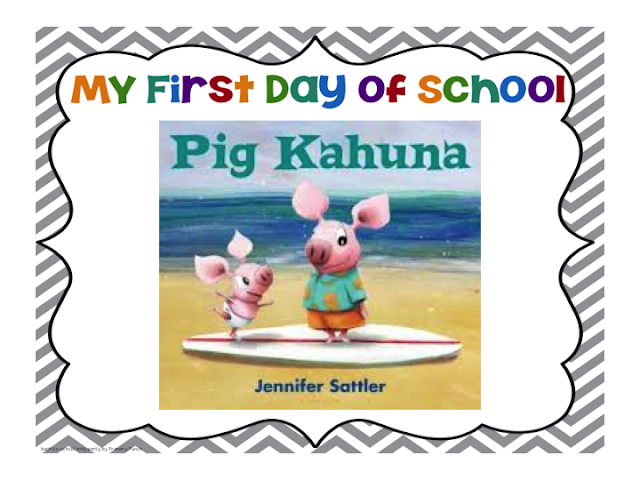 To end the day I read this cute book to them called Pig Kahuna . It's about two little pigs who find a surfboard and eventually learn how to surf. Which led to our art project of making our Surf Buddies. I just had them decorate the surfboards since the whole project takes some time. We ended the day by cleaning up and passing out the gobzillion papers from the office and myself. I had the day well planned and actually Over planned, but it all went smoothly. They are a super sweet bunch and I am looking forward to getting to know them better. I'm not going to lie. 16 kids is heaven! I have never had this low of a number except when a group of kids was out sick! I am just imagining how wonderful Daily 5 and Math Workstations will be with this amount of kids. 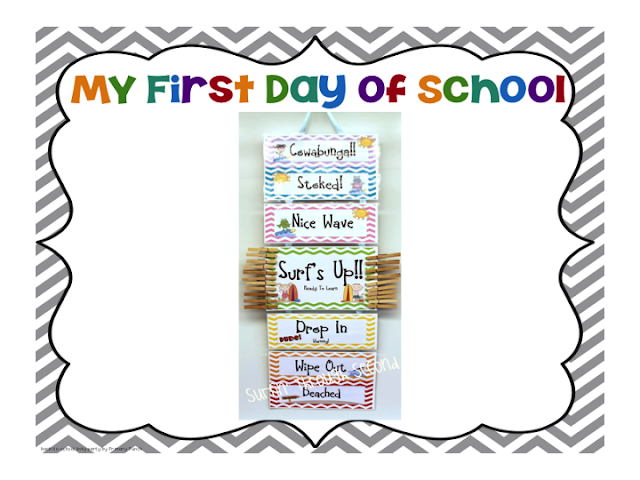 If you already had your first day back I hope it went smoothly. If not enjoy the rest of your vacation and link up with Deana telling what you plan to do on your first day. Good luck in the upcoming year and I hope you love everything! Thank you so much for the support! Here in Australia, we are in the middle of our school year. The beginning of the year is such a busy time. Wow sounds like an awesome first day back! It's amazing how quickly the first day goes. My principal always says" get them in, get them feed, get them home" for the first day. Basically make sure everyone goes home correctly and their safe. Of course we go over the rules, expectations, and do fun stuff too. I usually over plan as well. 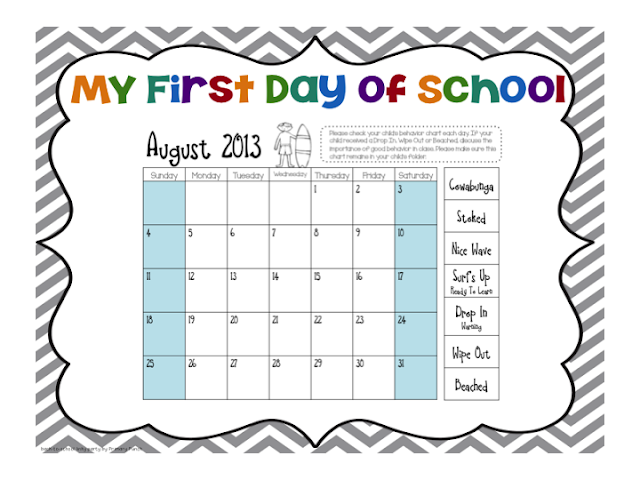 You don't know your bunch yet so it is harder to plan.Good luck with your first week back! 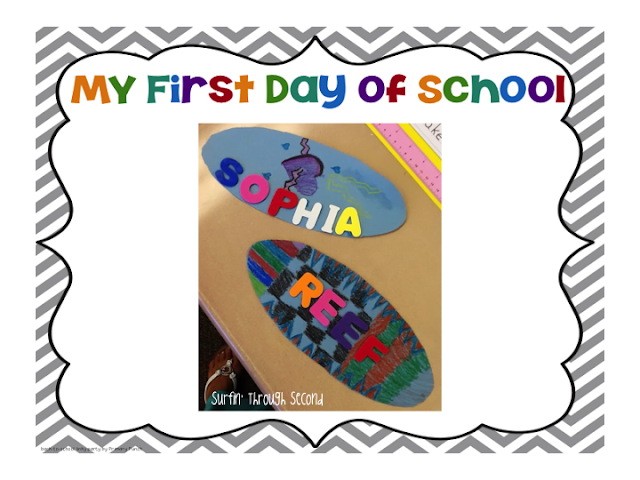 It sounds like a great first day, Corinna! I hope the rest of your week goes smoothly! 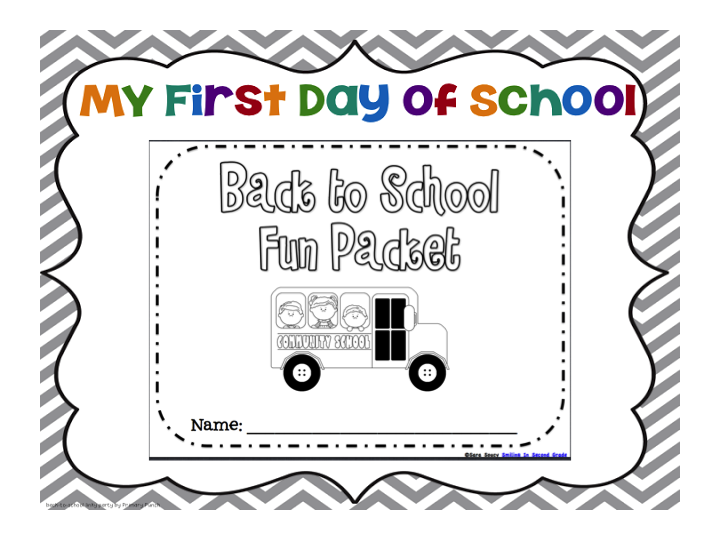 I'll be using that Back to School Fun Packet too. My first day with kids isn't until the 22nd! Thanks so much for linking up Corinna! I LOVE looking through your pictures and I'm pretty sure we have the same rug! What a fun first day! I really like your "Surf Etiquette". I hope you have a good school year! Thanks for the shout-out! I love the book, Pig Kahuna. My kids get a kick out of it too!